Children run the highest risk of the disease. It is important to recognise the symptoms and get professional help at the earliest. Children should be kept clean and tidy at all times. Hand, foot, and mouth disease is a highly contagious infection, and is very risky for children. It’s caused by viruses from the Enterovirus family, which is commonly the coxsackievirus. The hand, foot, and mouth viruses can spread from person-to-person through direct contact with unwashed hands or surfaces that are contaminated with faeces. It can also be transmitted through contact with an infected person’s saliva, stool, or respiratory secretions. Anyone can get the disease, but children under age 10 are most likely to catch it. Children are known to run the highest risk of the disease, especially if they attend day-care or school, as viruses can spread quickly in these facilities. Children usually build up immunity to the disease after they have been exposed to the viruses that cause it. This is precisely why the condition can rarely affect people over the age of 10. However, it’s still possible for older children and adults to get the infection, especially if they have weakened immune systems. Hand, foot, and mouth disease is known to be caused by a strain of coxsackievirus, and most commonly the coxsackievirus A16. The coxsackievirus is part of a group of viruses called Enteroviruses. In some cases it has been found that other types of Enteroviruses can cause hand, foot, and mouth disease. Viruses can be easily spread from person-to-person, hence you or your child may contract hand, foot, and mouth disease through contact with an infected person’s saliva fluid from blisters, faeces, respiratory droplets sprayed into the air after coughing or sneezing. Also, hand, foot, and mouth disease can also be transmitted through direct contact with unwashed hands or a surface containing traces of the virus. This is why children are always advised to wash their hands before and after they eat. The main reason why children are prone to this disease is because they are careless, and have high chances of contracting the disease easily. A child can catch hand-foot-and-mouth through contact with someone who has it, or from something that's been in contact with the virus, such as a toy, tabletop, or doorknob. Also, remember that the disease tends to spread easily in the summer and fall. 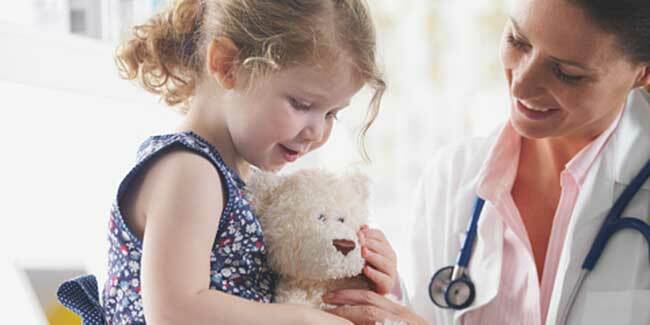 Children might show up some early symptoms of the disease, such as fever and sore throat. Also, blisters similar to cold sores can show up on the inside of your child's mouth or even on his tongue. Your child might get a rash on the palms of hands or the soles of feet; typically a day or two after the first symptoms appear. The rash may then turn into blisters. Flat spots or sores may pop up on the knees, elbows, or buttocks. He could have all of these symptoms, or only one or two, so it is important to visit the doctor to get an expert advice. Mouth sores can make it hurt to swallow, so be sure your child gets enough water and calories. Also look out for reduced appetite.